Though the weather hasn't been so sunny here in Toronto, it doesn't mean we can't dream of warm weather and bright tropical colours! Staying optimistic, here are some of my summery favourites. Palm leaves are so popular right now! I seriously have so many different Palm photos I could make a party board around flirty pinks and palm leaves. 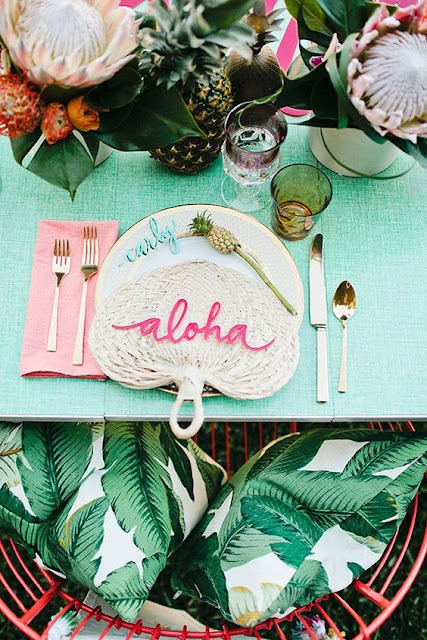 I really love this table setting, I think it is super cute for a summery party! Check out the other ideas at the link above! 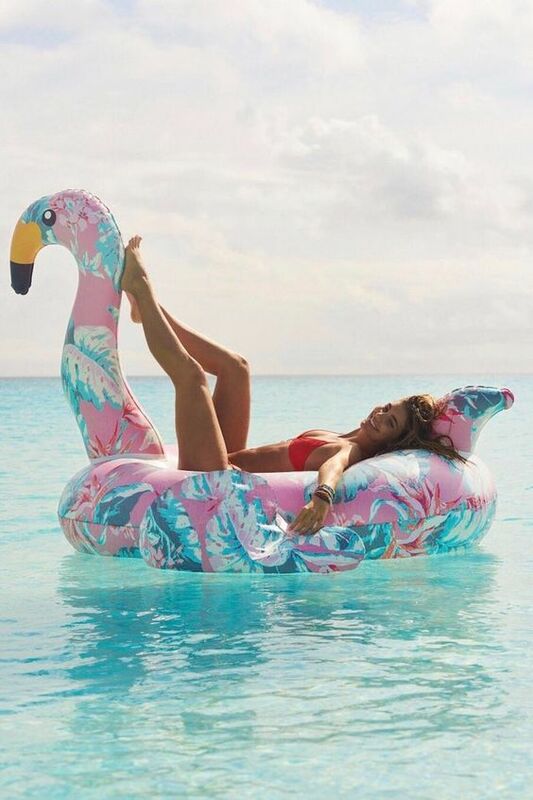 There are so many different pool floats out there - but how cute is this floral flamingo!? I love it! Definitely different from all of the rest out there. 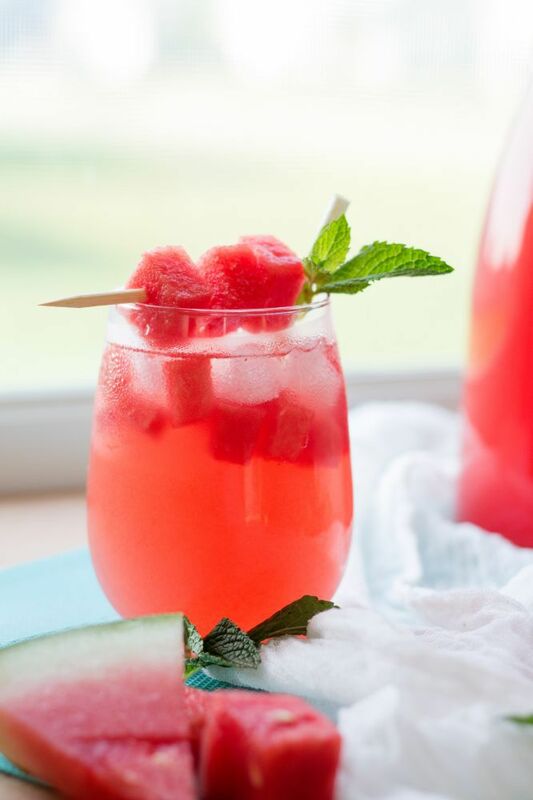 I love how there are so many different types of sangria, and this is such a refreshing idea for summer - if it ever stops raining here! Also, these name tags are so cute, I couldn't help but add them in! 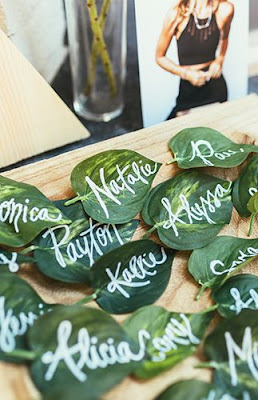 Again with the cute palm leaves! 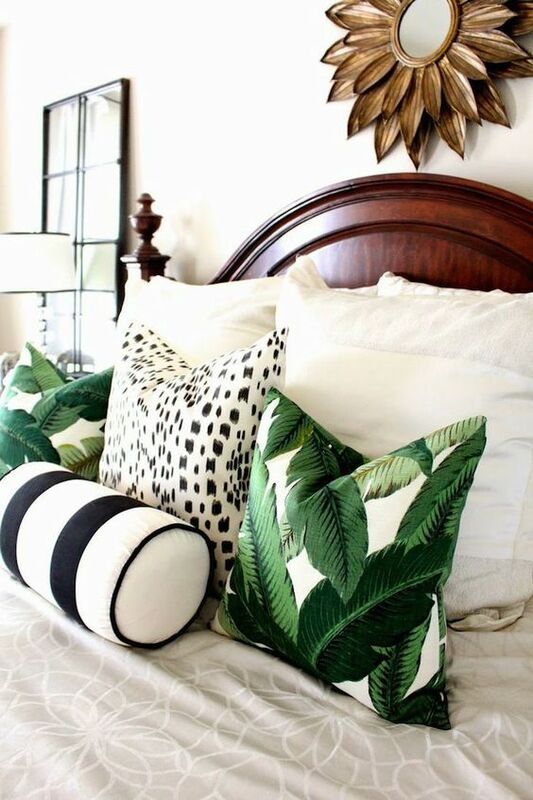 I really like how this is mixed with the black and white pillows! For some other cute ideas, Jillian created an inspiration board, so click the link above and check that out. Another really cute trend that I've seen a lot of lately are pom poms and tassels - on everything! Really cute for summer - and honestly, it just makes me want to travel somewhere hot even more!